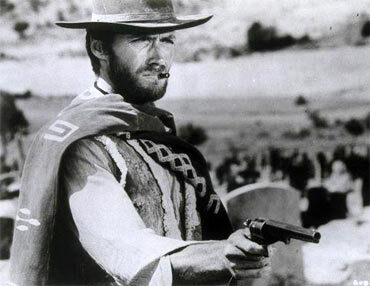 There's very little that hasn't been written about Clint Eastwood, eulogising the man in his 80th year (he turns 80 today) as he remarkably continues to make movies at a faster gallop than men one-third his age. 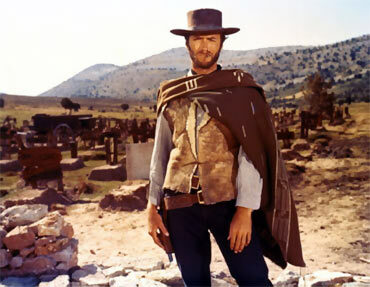 A favourite of both Oscars and audiences, the cowboy keeps riding on, and all we can do is salute him. 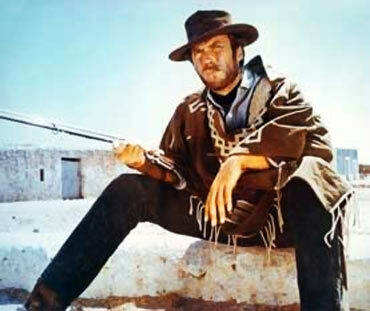 Therefore, when Rediff asked me to write about Clint, I decided to pick moments. Moments of action, wit, savagery, subtlety, nuance, machismo and sheer overwhelming awesomeness. 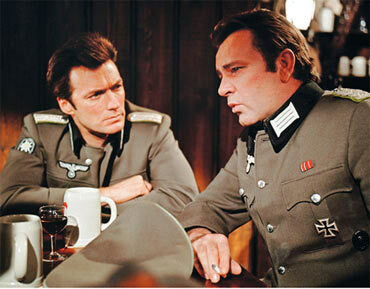 In this multistarrer classic war film, Eastwood's Morris Schaffer swiftly dispatches of a German soldier with a knife. "That was quick," says Richard Burton's Major Smith. Schaffer, wryly: "Fear lent him wings, as the saying goes." "All right now, I'm comin' out. Any man I see out there, I'm gonna kill him. Any son of a b***h takes a shot at me, I'm not only gonna kill him, but I'm gonna kill his wife. All his friends. Burn his damn house down." Sally: The idea is that an understanding of the particular behavioral case histories should, in parole situations, help the subject to avoid habitual traps and, in penal escape situations could, conversely, identify those self-same traps as an aid to apprehension. Red: In the first place, Miss Gerber. Red: In the first place, Sally, it ain't a 'penal escape situation.' It's a manhunt. Fancy words in a circle don't help much. Red: A nose like a Blue Tick, a medulla with an antenna and a helluva lot of coffee. 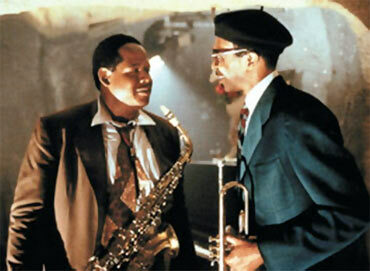 Eastwood's Bird, about legendary saxophonist Charlie Parker, is one of his finest, and even though the film didn't star Eastwood -- with Forest Whitaker playing Parker and winning a Best Actor prize at Cannes -- the film has his stamp all over it. Chan: Dizzy sent you a birthday card. Seems he's back in town. Do you owe him a phone call? Charlie: I owe Dizzy everything... except a phone call. 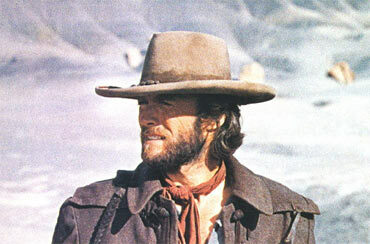 Eastwood's bounty hunter Monco is counting reward sums, from outlaws he's gunned down. "Ten thousand... twelve thousand... fifteen... sixteen... seventeen... twenty-two. Twenty-two?" He fumbles, as if the number isn't right. 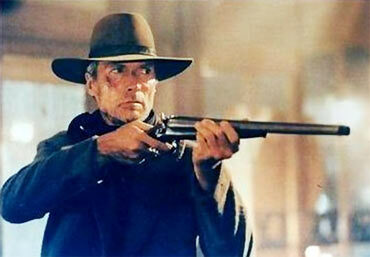 Another outlaw approaches, and Monco turns and fires, killing him instantly. Wales: Reckon I'm right popular. You a bounty hunter? 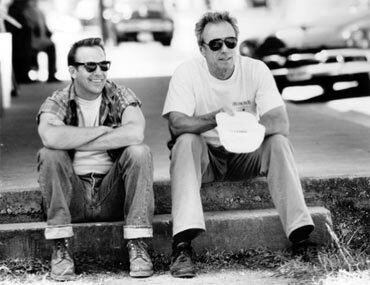 Bounty hunter: A man's got to do something for a living. Wales: Dyin' ain't much of a livin', boy. "Well, you know.. I prayed for them to come, but nobody answered." "I know what you're thinking. "Did he fire six shots or only five?" Well, to tell you the truth, in all this excitement I kind of lost track myself. 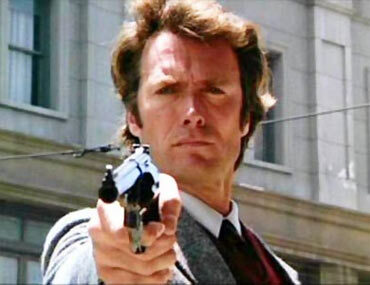 But being as this is a .44 Magnum, the most powerful handgun in the world, and would blow your head clean off, you've got to ask yourself one question: "Do I feel lucky?" Well, do ya, punk?"